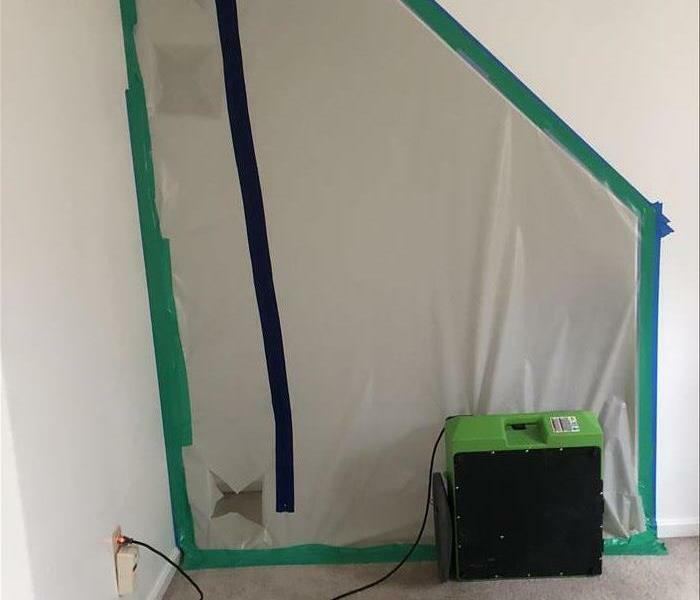 Containment for mold is crucial to prevent the spread of spores throughout the home. The SERVPRO of Burlington/ Middlebury knows that mold remediation is best left to the experts. Most of us will see evidence of the nasty fungus appearing in the form of black spots on shower curtains or orange film that circles the drains in our homes. In such cases, a simple cleaning goes a long way toward removing mold. 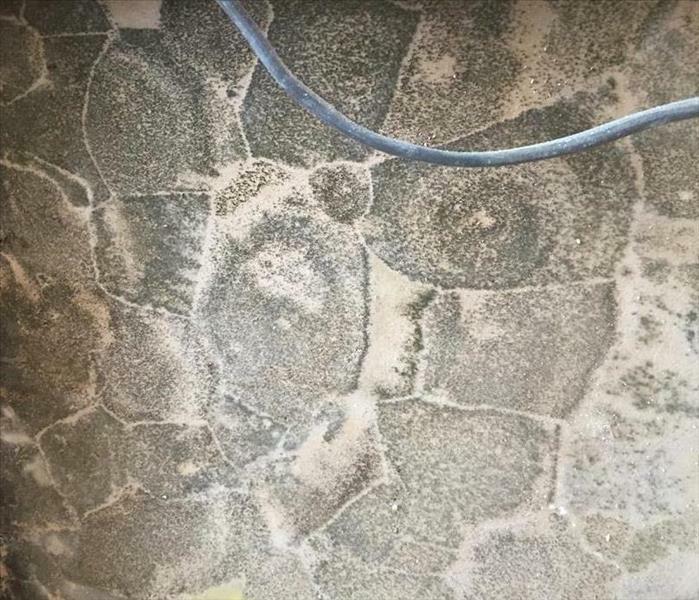 When excess moisture from water damage, water intrusion, floods, pipe breaks, standing water, ground water or overflows are left unattended to, the wet air creates an environment for rapid mold growth; a problem that will certainly require professional attention. Since mold can make you sick, especially if you have asthma or allergies, using an emergency cleaning service is the smartest way to go. Where Is Mold? The truth is, mold exists everywhere and complete removal is impossible. Microscopic mold spores float on air, and may even travel indoors on your clothing or pets. When mold accumulates, however, you’ll often notice it even if there’s no visible trace. A potent musty, odor is a good indicator of a mold infestation. What Does Mold Remediation Entail? Mold remediation often involves addressing sources of moisture that fuel its growth. 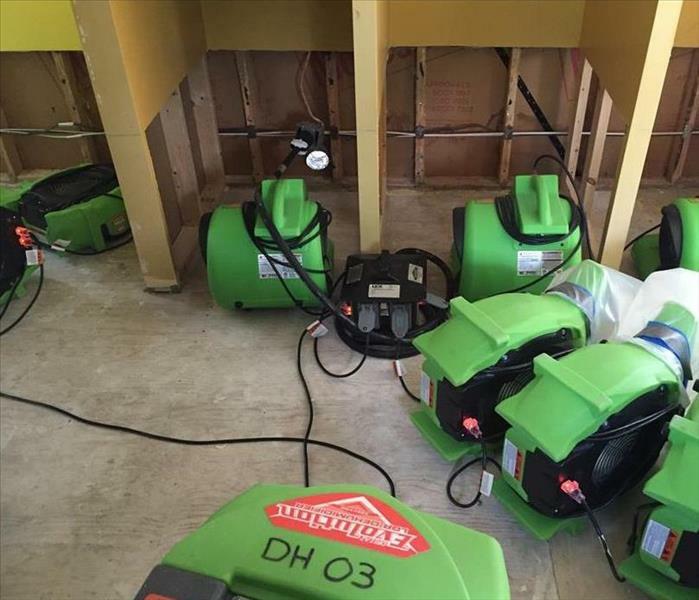 The cleanup experts at SERVPRO Burlington/ Middlebury move quickly to isolate the affected area using advanced techniques and equipment. From there, mold removal, air filtration and the next best steps can begin. If you’ve run into a problem with mold in your home or business in Vermont, and are in need of mold remediation, contact SERVPRO of Burlington/ Middlebury by calling (802)497-1101. Our caring staff can make the difference in a bad experience to help you get back where you need to be quickly. Visit SERVPROBTV.com to learn more about the many ways they tackle other cleanup and restoration projects when disasters strike. Mold like this is pretty common in Vermont. Did you know that there are multiple, hundreds of thousands of mold spores floating around outdoors? Knowing the dangers of mold, it is quite frightening thinking about it, but what is more of a concern would be finding mold inside your own home. Mold is known to belong to the kingdom of fungi. It can appear to be plant like but cannot create its own food. It absorbs its nutrients from other organic substances. Mold can simply generate with water and something living – or even once living, like wood. Invitations of mold to your own home would consist of poor ventilation, moisture and water damages in which were not addressed immediately. In any areas of your home that moisture issues happen to occur, you want to be sure that you have a source of ventilation within that area. The consistent moisture and humidity will eventually cause mold. This is another reason to report any serious water damages right away. You may be able to clean the visible mess but sometimes the affected areas cannot be seen. SERVPRO Burlington/ Middlebury is here for you 365 day 24/7. If you have any questions or concerns due to recent water loss or any visible mold, do not hesitate to call us at 802-497-1101. Our team will always be there, ready to help. Because we have the knowledge! Our company has the know how to find mold...Even when its hiding! Professional help with Industry Certifications! Containment is just one of the many things that we're trained rigorously for! Making sure your home is not compromised during a mold mitigation! Sometimes, Mold growth can be very interesting! The SERVPRO of Burlington/ Middlebury is going "GREEN"! Everyone knows that SERVPRO is Green. Our franchise has green emergency service vehicles, our employees are dressed in green, and all our restoration equipment is green. SERVPRO of Burlington/ Middlebury is taking it one step further in 2018. Our teams will have access to “green” environmentally friendly chemicals! SERVPRO of Burlington/ Middlebury will now have the option to use Carpet & Upholstery Green Clean (chemical #251) on all commercial and residential properties. This product is pH Neutral, biodegradable, and contains zero phosphates, solvents, dyes, or fragrances. SERVPRO will also be using All Surface Green Clean (product #250). This product is pH neutral, contains no dyes or fragrances, and is non-toxic / phosphate free. All Surface Green Clean is volatile organic compound compliant and rapidly biodegradable. Don't forget, our advice and opinions are always free! Call our office at 802-497-1101 to see how SERVPRO of Burlington/ Middlebury can help you today. When moisture creates an environment for rapid mold growth, the problem may require more than a quick bleach cleanup. Since mold can make you sick, especially if you have asthma or allergies, using an emergency cleaning service is the smartest way to go. If you’ve run into a problem with mold in your home or business in Vermont, and are in need of mold remediation, contact SERVPRO of Burlington/ Middlebury by calling (802)497-1101. Visit SERVPROBTV.com to learn more about the many ways they tackle other cleanup and restoration projects when disasters strike. When owning a commercial property, you want to be able to maintain a professional look. With any source of damage, it can ruin the appearance that appeals to your associates and customers. In an untimely water damage, leaving water needing to be mitigated and the amount of time it usually takes to fully restore the property, it can cause a loss to the business and start to effect revenue if it isn’t handled properly. There had been a recent water loss at a commercial building caused by a failing sprinkler system. The caller had been slightly unsettled with the situation and was not sure on how to handle it. Here at The SERVPRO of Burlington/ Middlebury, we make sure to take great care of our customers. We assured them that we were here to help and take the matter into our own hands. Being a commercial building, many of the tenants were worried about cancelling appointments and losing clients. With that in mind, our experienced technicians mitigated all the water off the property without disrupting day to day business. No job is too big or too small. With any emergency situation, The SERVPRO of Burlington/ Middlebury will be ready 24/7, 365. Our friendly team will be here, ready to assist you when needed. Give us a call @ 802-497-1101 or visit our website @ SERVPROBTV.com. 1/14/2019 - Taking your time counts! 1/14/2019 - Because we have the knowledge! 1/14/2019 - Professional help with Industry Certifications! 1/14/2019 - Because we're always ready! 10/22/2018 - Vermont's Premier Mold Restoration Team! 10/22/2018 - We Do Commercial Too!